Witnessing Tia come to life as a sweet little character and the symbol of our company Touch a Heart with TIA, has been very exciting and rewarding. Through creating our unique and meaningful products—The Inside Advantage® SECRET Pillowcase and Keepsake Collection (gifts that touch loved ones’ hearts), as well as writing three little books, I have been reminded once again of what it’s like to see the world as a child—curious, wide-eyed, and exuberant, finding joy in the moment and living life to the fullest. 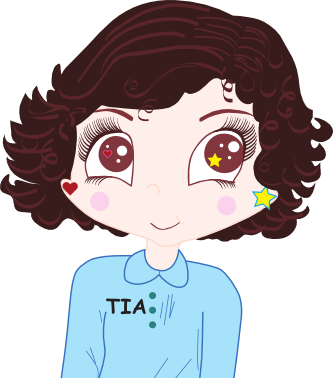 The first thing you may notice is Tia’s eyes—they reflect the love in her heart and the wishes in her mind. She knows how to live with an open heart, and understands that not only is wishing and hoping important, but you also need to take action to make your dreams come true. What a great lesson for all of us! It’s at the center of what The Inside Advantage is all about. And, did you also notice that Tia is wearing two different styles of earrings? She does that every day, and for good reasons. Find out why in her second book, MORE of Tia’s Story. I’ll tell more about all three of her downloadable eBooks next time. Check out Tia’s new website TouchaHeartwithTIA.com for much more info. This entry was posted in Touch a Heart with TIA and tagged Cathy W. Lauro, celebrating life, enjoying the moments, gifts that touch loved one's hearts, living life to the fullest, love in your heart, seeing the world through a child's eyes, The Inside Advantage, Touch a Heart with TIA, wishes in your mind. Bookmark the permalink.